According to a new PhD project, as much as 18% of offshore wind energy costs can be attributed to logistics. Yet little attention has been paid to the area in the past. "The potentials for optimisation are considerable," the author concludes, highlighting that both the industry and ports will face new logistical challenges in the future. But this could actually be good news for the Port of Esbjerg. It is no more than 27 years ago that the first offshore wind turbine was erected among the islands in the sea near Vindeby on Southern Funen. Since then, the pace has speeded up. Horns Rev 1 was established in 2002, Horns Rev 2 in 2009, and today, we are about to open Horns Rev 3, which, with its 49 giant wind turbines alone will increase the total wind energy capacity in Denmark by 12%. "The offshore wind power industry is still the new kid on the block compared with other more well-established industries such as oil or gas," Thomas Poulsen, Managing Partner at the consulting firm of Panticon, explains about the PhD project he has just completed. "I could see that logistics were not being cultivated as a separate discipline within offshore wind energy. And that is no doubt because the industry is still young and developing so fast that projects have overtaken each other," he says. 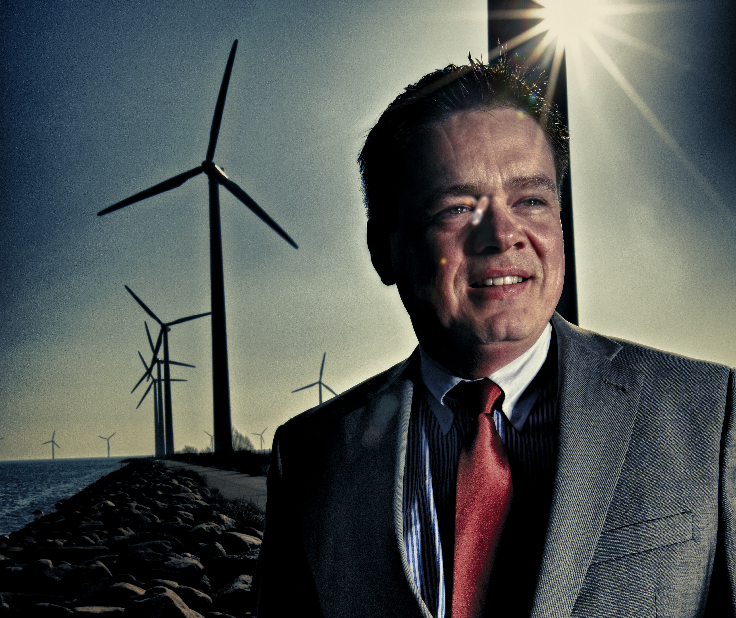 Eight years ago, he decided to explore what role logistics played in offshore wind power. For instance, he studied how much logistics accounted for in the levelised cost of energy, LCoE (a calculation that estimates the cost per kilowatt hour produced (kWh) over time, Ed.). He was the first to make this calculation because logistic costs are often integrated in the types of activities supported by the logistics. The conclusion surprised Thomas Poulsen, because his study revealed that 18% of the LCoE can be attributed to logistics. And that should provide food for thought, he believes. "Right now, the industry is discussing how wind energy can become fully competitive on market terms. Logistics can be a key to successfully finding areas for optimisation, because if we compare ourselves with other types of industries, a share of 18% is very high," he says. Logistics can be a key to successfully finding areas for optimisation in the offshore wind power industry, says Thomas Poulsen, Managing Partner in Panticon. "We had a feeling that optimisation was possible but had trouble determining its potential size. We probably tended to underestimate the logistics elements but now some light has been shed on the matter, not least because we have a shared language for discussing it," she says. From Christina Aabo's perspective, optimising CAPEX (Capital Expenditure, Ed. ), in other words, the actual installation of the wind farms, represents the greatest potential. Consequently, innovation is high on the agenda these years. This involves working with simultaneous installations, for example, so the foundations and turbines can be installed at the same time. And ideally, then the connection can also occur continuously. "We just need to do what we did on the last project but must insist on learning from our experiences and optimising the processes across projects," Christina Aabo says. To accommodate this need for optimisation, Ørsted has established a new multidisciplinary unit with a focus spanning all Ørsted's activities to drive innovation in logistical processes linked to the installation and construction of new wind farms. Ørsted has been the business partner for the PhD project, and has acted as a case study for Thomas Poulsen's work. The photo here is from February 2018 where Ørsted completed various training at the Port of Esbjerg. According to Thomas Poulsen, this type of organisation is a prime way to optimise. "The challenge in the wind power industry is that it remains a project-driven industry, with no multi-disciplinary logistics departments across the individual phases of an offshore wind farm's lifetime. This means there are sometimes no shared standards but also that knowledge sharing and subsequent optimisation are lost," he says. In addition to organisation, Thomas Poulsen also mentions potentials for optimising OPEX (Operating Expenditure, Ed. ), in other words, costs related to the continuous operation and maintenance of the wind farms. "One of our case studies revealed that you can specifically reduce lifetime costs by 0.7% by also working at night and thereby optimising implementation of the service planned for the farms over 30 years. That may not sound much, but it involves many millions of Danish kroner,” he says, pointing out, for example, that the ships Ørsted leases in connection with service often berth in the port overnight. "It's clear we'll be looking at whether we can service the turbines around the clock rather than only in the daytime, as we do today." Christina Aabo agrees but points out that it takes time to find the correct solution. "If we're going to be at sea around the clock, we must work out how to make that comfortable for the service technicians and workforce. 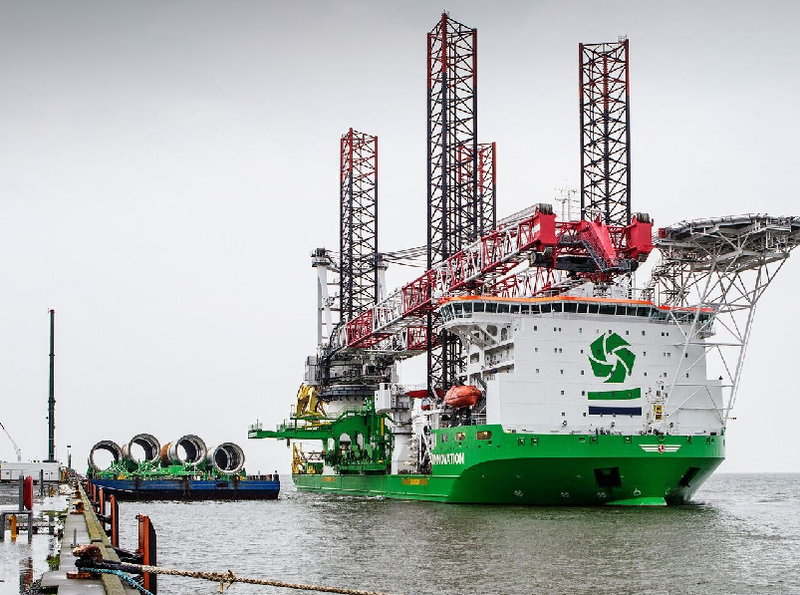 This could involve shifts with two teams, scope for sleeping overnight on the ships etc.," she explains, underlining that although the greatest potential for Ørsted lies in optimising CAPEX, attempts will be made to target optimising operations and service for all the wind farms. At other points in the value chain, the potentials for optimising logistics are also in focus. At MHI Vestas, Senior Project Manager Peter Toft Madsen, explains that logistics are a parameter that will only increase in importance in the future. "We must constantly optimise because every single project is under pressure in terms of price and competitiveness. Optimisation is the way forward if we are to make ends meet," he says. One way of achieving this is to exploit synergies more in actual hubs or industry clusters, in other words, complete production sites. This would secure a more lean and efficient process compared with the wind turbine deliveries for pre-assembly, which still takes place onshore. "We can see the synergies already at the Port of Esbjerg, where we produce our PCM (Power Conversion Module, Ed.) a few metres from our pre-assembly site," Peter Toft Madsen says. He emphasises that the need for proper hubs or production clusters closer to the ports could increase in the future as the turbines grow larger. "In the future, we may produce the whole turbine with tower, nacelle and wings close to the ports if not in the ports, as the individual turbine components are becoming so large that they cannot be transported outside the closed production areas." Larger production units will inevitably result in optimisation, according to Peter Toft Madsen, because more processes are collected in one place. 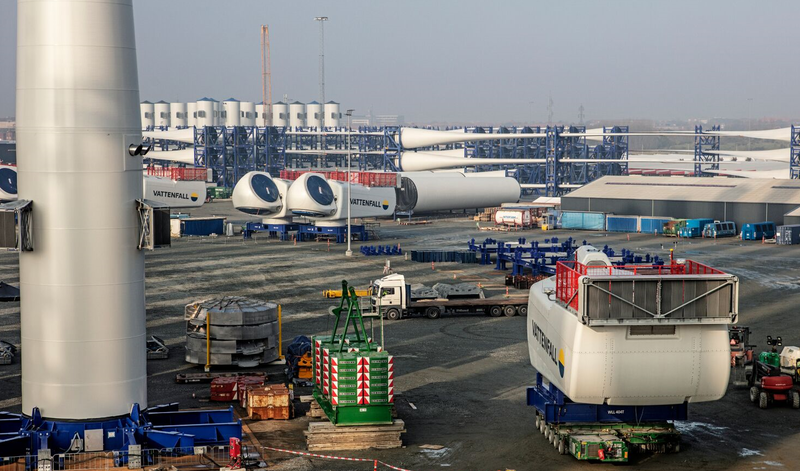 On the other hand, that also makes demands on the facilities and ports, which need larger areas and combined services available for companies such as MHI Vestas. Thomas Poulsen agrees. And in his view, Denmark's first mover position in the wind area risks becoming a constraint. "The challenge of having been a first mover is that our infrastructure very soon becomes outdated. Our strength risks becoming our weakness because if we were starting from scratch today, we would definitely establish all the production closer to ports such as Esbjerg," he says. "In the long term, the development will mean that only a handful of ports in Europe can keep up," says Peter Toft Madsen. 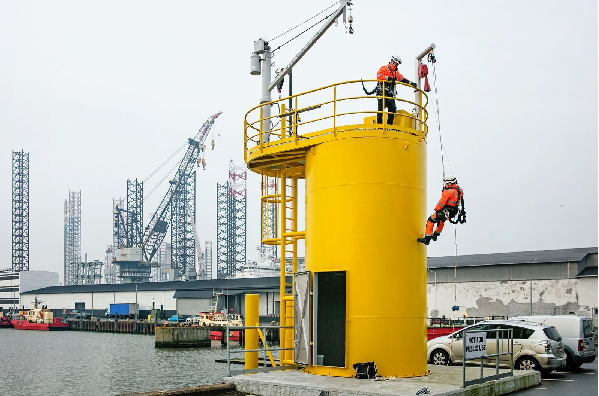 The photo here is from the Port of Esbjerg that functions as installation port for Vattenfall during the completion of Horns Rev 3. If you ask Thomas Poulsen, ports also play a role in cutting costs. In fact, the ports' role as hubs will become far more important in the future because they secure the framework that enables the industry to successfully exploit economies of scale. "In the future, we will need giant ports and that means not everyone can join in," he says, highlighting that this is pretty inevitable. "The ports are a kind of switchboard where onshore logistics meet offshore logistics. This makes demands on the quay facilities, cranes, areas and much more besides. The ports must continually analyse both the situation and the market so their facilities support the development rather than holding it back," Thomas Poulsen says. At MHI Vestas, Peter Toft Madsen agrees with this view. On an everyday basis, he decides which ports are interesting for the company to work with for new projects. And he has no doubt that it appears today as if the development will end up making great demands on ports in the future. This entails continuous quays, deep water at quays, restrictions on jacking operations and the load capacity of the areas. But the most important parameters are without doubt quays and areas. "In the long term, this development will mean that only a handful of ports in Europe can keep up," he says. He believes Esbjerg is one of them. "Esbjerg is an optimal wind port for the future because of its large areas and strong value chain with enormous knowhow present in the local area," he says. At the Port of Esbjerg, CCO Jesper Bank explains that the port invests regularly in remaining at the cutting edge. Not least because the ports also play a role in reducing LCoE. Under the auspices of WindEurope, a number of European ports have recently investigated the potential size of the ports' contributions. And the conclusion is actually that with the right investments, the ports can contribute 5.3% savings in the total LCoE up to 2030. "This requires that we make smart investments so we are upgrading, redesigning and adapting our existing facilities while also building new facilities," Jesper Bank says, highlighting that under the auspices of Ports Platform under WindEurope it has assessed that investments of between EUR 0.5-1 billion will be required to achieve the potential 5.3% reduction. "The point is that investing in the right facilities improves conditions for the wind industry being able to optimise the efficiency of its logistical processes. Our investments must provide benefits for the companies and the industry or they are useless," Jesper Bank says. The first monopiles for Horns Rev 3 are being shipped from the Port of Esbjerg in the fall of 2017.